One recent winter morning, I headed out to my car to warm it up. A series of unexpectedly harsh ice and snow storms had taken Portland by surprise. Most of us were not prepared or equipped. That morning I was wearing my Chuck Taylors. They are my favorite shoes, but they are not known for their traction. Sliding around my ice-covered driveway, gripping the side mirror of my car, I realized I might have picked the wrong shoes for the day ahead of me. Chuck Taylors have many different qualities as shoes. They’re light, fun, and colorful. They trigger the right amount of nostalgia. They communicate a certain fashion aesthetic (If you’re not clear, that aesthetic is “I’m Not Entirely a Fan of This Adulting Thing.”) But no matter how comfortable I am with them, they are not the shoes for ice and snow. There’s a life lesson here: One of the reasons we often don’t get the results we want in life is because we’ve chosen the wrong tools for the job. We often choose the wrong tools because we don’t think clearly about the nature of our tools. This is also true for personal and spiritual growth. 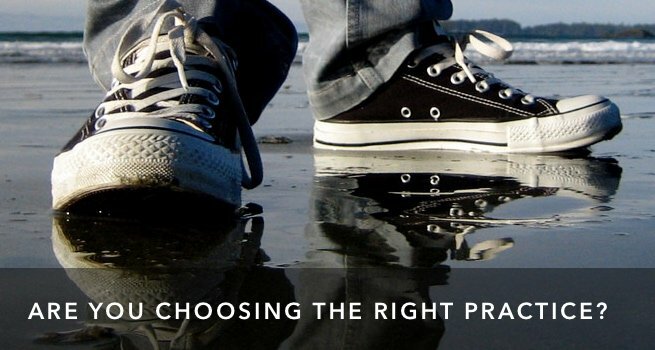 How to choose the right tools for spiritual growth. In contemporary Christianity, we are swamped in books, courses, traditions, spiritual practices, and discipleship classes. It’s possible to have a full schedule of religious activities! But filling your time with these things doesn’t guarantee growth; it only guarantees a busy schedule. 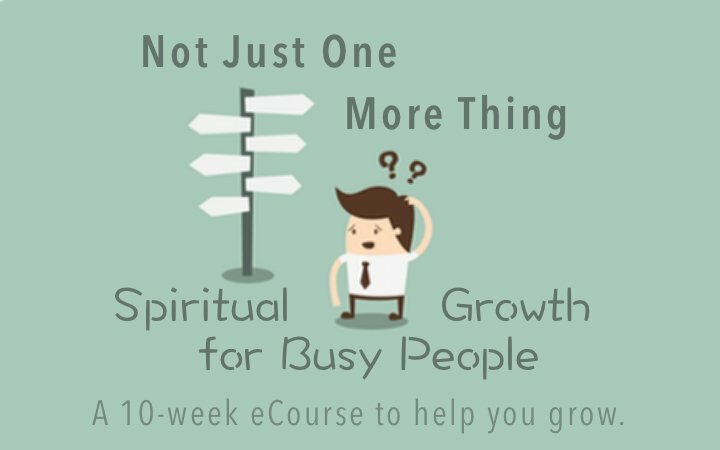 For our greatest spiritual growth and health, we need to choose tools best suited to lead us to growth. Are we just filling our time with religious busyness? With spiritual dead-ends? Or are we engaging in practices that can truly nurture growth in our hearts? These four questions will help you know. 1. Will this practice help me be still? Busyness and obligation are the fashion of modern culture. To be seen as busy means we are needed. If we are needed, we must matter! But the sense of value we gain from being in demand is a lie. Our value and identify comes from the One who made us, not from anything we perform or accomplish. Any healthy spiritual practice will challenge the authority of busyness and obligation in our lives. It will remind us that we are not what we do. Many of us react against this. Most of us don’t want to be still. Even though we talk about how good it would be to turn off the phone, most of us don’t. You know… Just in case. Yet, stillness is the fertile soil of spiritual growth. It is where we can reflect on our experiences and learn. It is where God’s voice can finally be heard. It is also the only place we can begin to deal with the noise of our own minds and hearts. If the spiritual practices you choose allow you to continue your life at a breakneck pace, something is wrong. Spirituality is not one more thing you can accomplish. It’s not a category to your to-do list, with tasks you can check off. We’re told to “be still and know that I am God.” An effective spiritual practice or tool will lead you to stop and be still. 2. 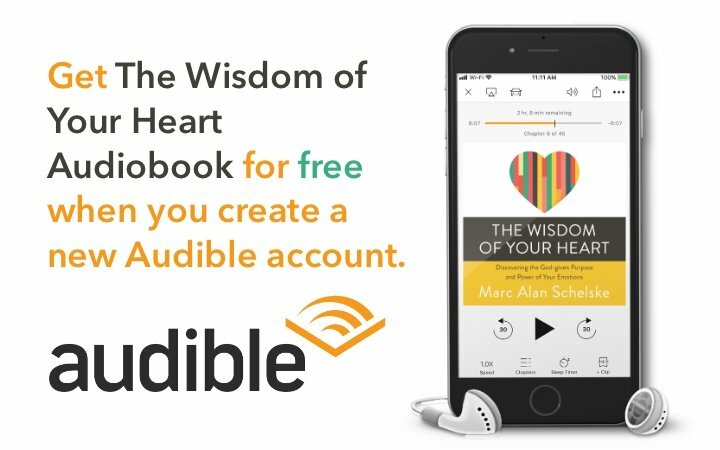 Will this practice help me learn to hear God’s voice? When our lives are rushed and over-obligated, our minds echo with voices. 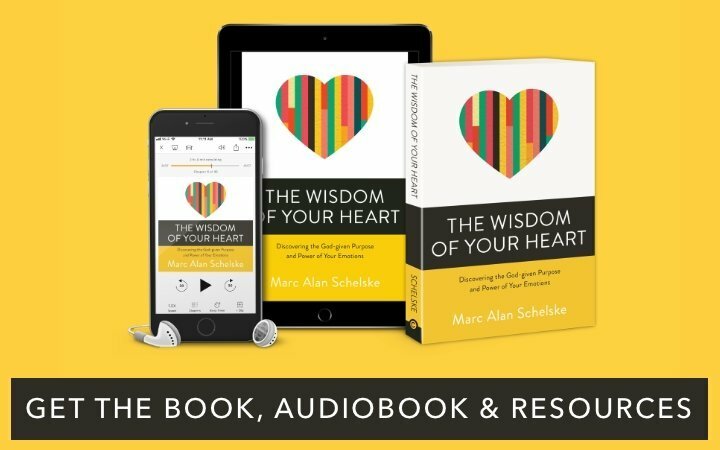 The demanding voices of family, friends, projected judges, expectations we inherited as children, our to-do list, the oughts, and shoulds, and desires—our inner world into a cacophony. When we don’t take time to stop and reflect, we cannot discern between these voices and our own thoughts, or between them and God’s guidance. Jesus said, “My sheep hear my voice.” That sounds comforting until you realize sheep don’t automatically recognize the voice of their shepherd. They only know it because of the amount of time they have spent with the shepherd. They’ve learned that the shepherd is the one who feeds them, provides for them, who protects them. So, they pay attention. Think about your dog who knows the crinkly sound of the treat bag or your cat who comes running at the sound of the can opener. God’s voice of guidance comes to us through scripture. It can also come in other ways, like through our community of faith or through the words of a friend. It can even come in the form of a powerful sense in our own hearts. But we can miss it when we’re not familiar with the tone of voice the Spirit uses. Effective Spiritual practices help us learn to recognize the voice of the Shepherd. 3. Will this practice lead me to confession and repentance? Confession and repentance are two old church words. They may carry a bit of baggage for you. But don’t let the associations you have with these words put you off of the vital reality they convey. Confession means acknowledging what is true about ourselves. Repentance means turning away from patterns and choices that are sinful, destructive, that lead to death in ourselves and the world. Together, these two form the gateway to growth, regardless of the area you’re talking about. 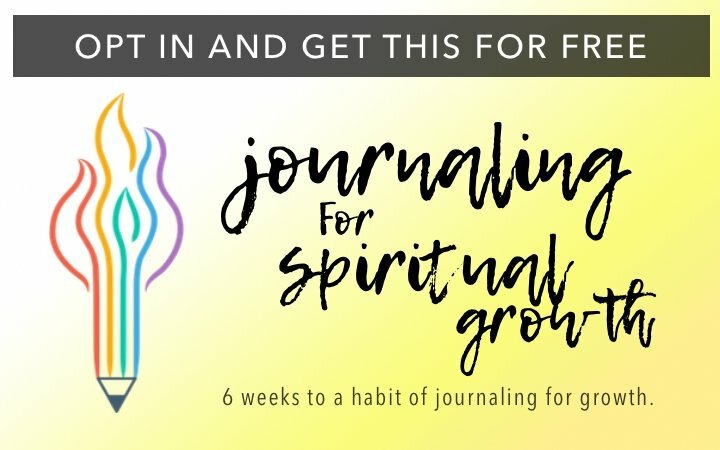 Recovery, therapy, spiritual growth, emotional growth—those fields may use different terminology, but regardless of the name, the path to growth leads through these two experiences. We see the truth about ourselves, perhaps only a fragment, and perhaps only partially. We admit that what’s true is true. That is confession. Then we choose, with will and heart, to turn toward something different, better, more life-giving. That’s repentance. You may engage in many different religious or spiritual activities, but if those practices don’t lead you to the gateway of confession and repentance, you will not see life change. Be clear: confession and repentance are not a one-time experience, something we did that one time at summer camp, and now we’re good. No. Real growth comes with a continual revealing. Over time, we see more and more truth about God and ourselves. Every time we see some new truth we have the opportunity to accept it for what it is. If we do accept it, we have the opportunity to make a change. We confess and repent again. And then again. Spiritual practices that result in real growth will always enable us to see more truth about ourselves, and encourage us to turn toward what is right, true, beautiful and life-giving. 4. Will this practice help me try on the new life of Christ? This final question is perhaps the most important. It is also very often overlooked. Christians are good at taking in information. Many of us were taught to study the Bible, to read commentaries, to discuss theology. Many of us grew up memorizing scripture. And yet, even as we learn more and more about the Bible and doctrine, many of us continue to live with the same old habits and attitudes. How can this be? While we’ve been taught to learn, we have not been trained to practice new and more Christlike ways of living. Ask any musician or athlete. Practice is the only thing that turns good ideas into practical, repeatable action. Practice is what creates habits. The course of our lives is made up of all our daily actions. We like to think that those actions are the result of our choices, yet for most of us, habits and reactions govern much of what we do. 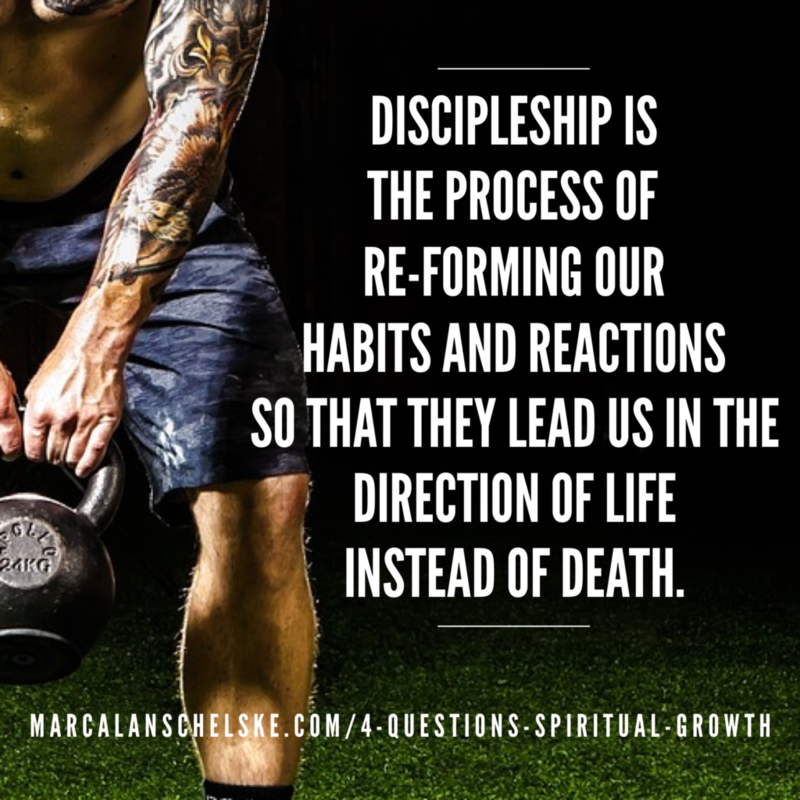 Discipleship is the process of re-forming our habits and reactions so that they lead us in the direction of life instead of death. Paul talks about the life of a follower of Jesus as a process of taking off the old and trying on the new. Growth requires taking in new information. We will need to spend time in reflection. But learning and reflection do not automatically result in life change. We must try new ways of living, actually do something different. Spiritual practices that result in real growth will always move us in this direction. New habits in our real relationships. New words, new actions, new acts of service, new options for how we react. Because these are new, they are not habitual. That means they take practice. Over time, effective spiritual practices will help us try on new habits so that we can better love God with everything we are and have, and love our neighbor as ourselves. Want to grow? Seek practices that lead you in this way. Are you being led to stillness? Are you learning to recognize God’s voice? Are you being led to confession and repentance? Are you continually being encouraged to try on your new life in Christ? When these things are happening, spiritual growth follows naturally. If you already have spiritual practices in your life, use these four questions to evaluate the impact of the time you are investing. You may be spending time doing religious activities that are not actually helping you grow in the image of Christ. If you are looking to incorporate spiritual practices into your life, let these four questions help you choose ones that will make a difference. Make a bullet point list of all the current spiritual practices and religious activities you regularly engage in. Then evaluate each one by the four questions. What patterns do you notice? Is there anything you would add to this list? 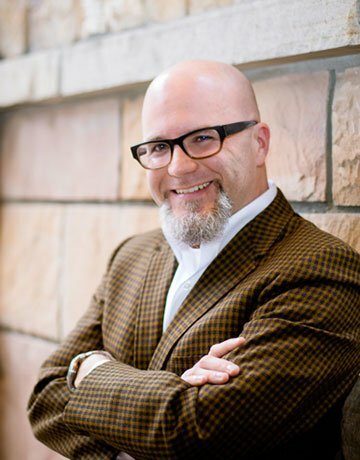 Are there other vital purposes for spiritual practices?